zarinahtakesapaycut: PwC Malaysia MD, Chin Kwai Fatt's fictitious emails spectacularly backfires: PwC Malaysia in full crisis mode! 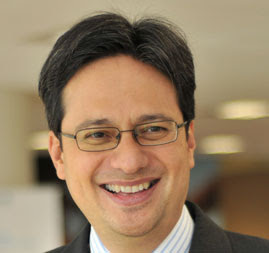 PwC Malaysia MD, Chin Kwai Fatt's fictitious emails spectacularly backfires: PwC Malaysia in full crisis mode! On the 11th of August in the Kuala Lumpur High Court when proceedings were ongoing, this fictitious email dated 7 September was introduced as part of an additional bundle of documents. The Judge then directed for the formal application with an affidavit be filed by 19/08/2011 to introduce the additional documents. This direction was not complied with; we have just learned one of the reasons being as follows. This newly created an fictitious email describing a version of events CONTRADICTS Chin Kwai Fatt's letter dated the same day and all the defendants pleadings. Apparently only Johan Raslan and Chin Kwai Fatt knew of this sinister plan but did not expect the Judge to direct for a formal application with an affidavit be filed. ONCE INTERNAL INVESTIGATIONS REVEALED THIS INCONSISTENCY, NONE OF THE SENIOR PARTNERS OF PwC MALAYSIA WERE WILLING TO SIGN THE AFFIDAVIT.